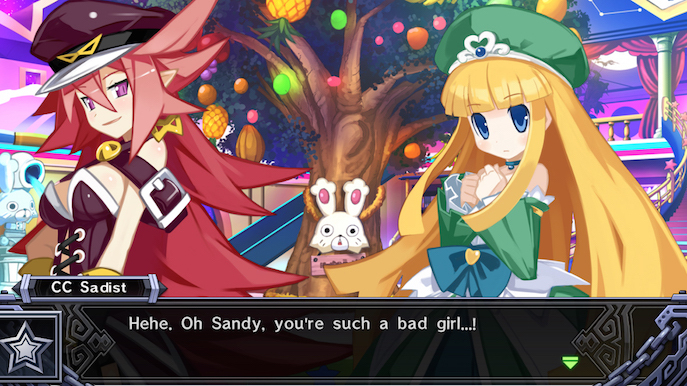 Idea Factory’s funny, charismatic, and somewhat weird JRPG, Mugen Souls is out on Steam thanks to the guys at Ghostlight LTD. 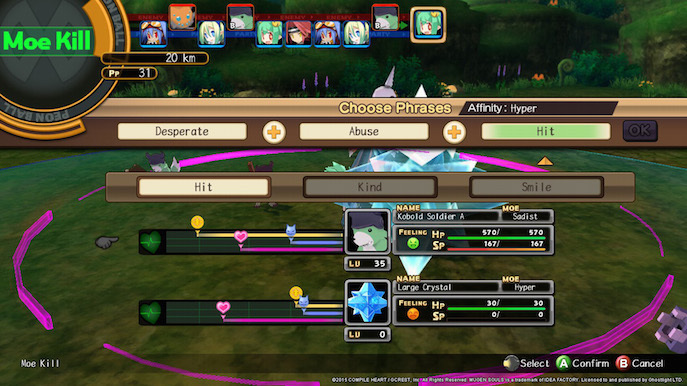 The game offers interesting mixes of graphics, different gameplay elements, comedy and unique character designs. You know there’s something off when the track playing in the background ends and loops back while you read the IMMENSE AMOUNTS OF TUTORIAL SCREENS! But they are worth checking out and the gameplay is very fun and dynamic, you’re the one in charge of getting the most of it. What I appreciate mostly about the game is its free-roaming, this added to the turn-based combat makes it feel like an open RPG. 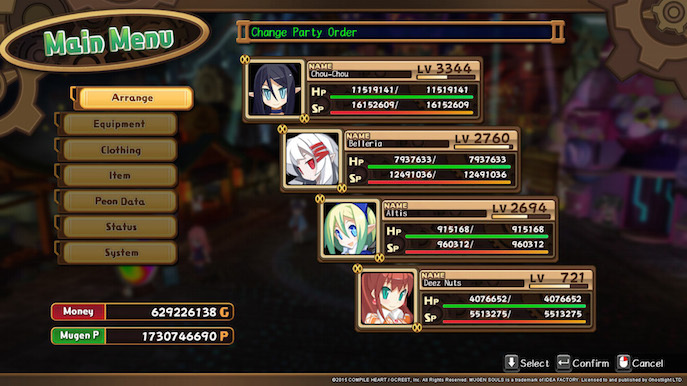 Like most idea Factory games, new mechanics are introduced by the script of new encounters, making gameplay much more variable and less monotonous; The game shines in this particular aspect, were you can decide to not kill the enemies, but make them your peons with the Moe Kill ability. This ability allows you to form different sentences and make the creatures fall in love with you. Obtaining more and more peons allows for upgrades and benefits later on in the game, so it’s not necessary to kill them all. There are plenty of different mechanics, including a very fun rock, paper, scissors, style game were your flying space ships fights another. The game of course has a bunch of added DLC bonuses that make the game trivial, as well as a bunch of cosmetic clothing to make your game…different. You can change cosmetics in body parts, facial expressions (Yup…) and learn different new abilities for each character. BUT… WHAT IS UP WITH THE CHIBI? 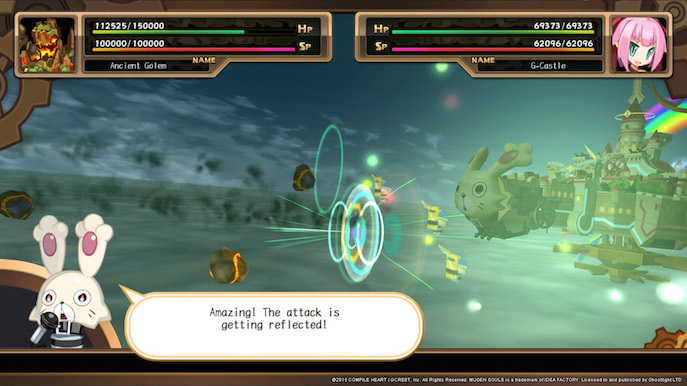 The character designs in the game are somewhat unique, as their proportions resemble the chibi style in anime, and of course in-game the 3D character models go through this style, like in Final Fantasy III. 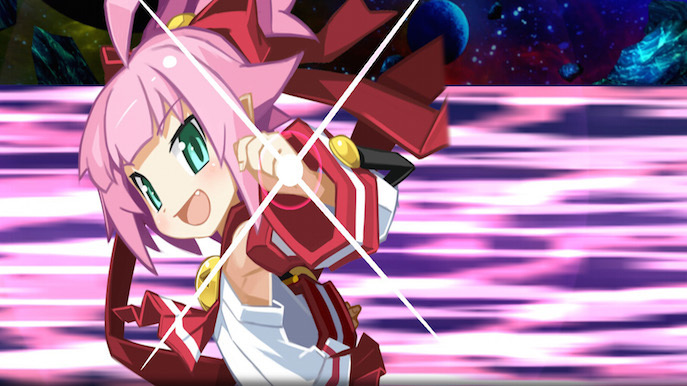 Fortunately this isn’t idea Factory’s only style, they mix around different art styles in one game; Characters play a 2D animated sprite during cutscenes with dialogues or flat artworks for special scenarios, and also show action 2D poses during the 3D combat. This gives the game a lot of flexibility in terms of its visual design and aesthetic. 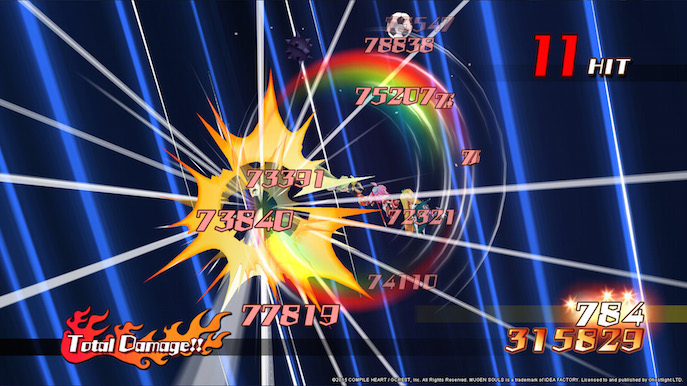 The visuals play a heavy roll in this game, as it goes for a childish look with plenty of colors. 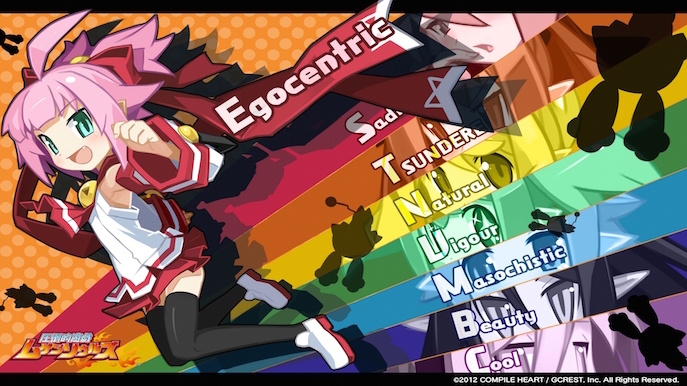 Most of these games do the old trick of making different factions, each with their respective representative characters and in their ideal main color. Music in the game is pretty decent, it plays with fairly well places cues during gameplay and accommodates for the gamers’ climax on portions of the game. New encounter? Time to rock! Casual conversations? Chilling music. However the weak side of the RPG genre is how you get to listen to the same tracks over and over again… This is why they need to be great! Music is well balanced on itself, but the overall sound mix of the game competes a lot with it’s own stems, you get music bumping up while menu sound FX distort it. Of course for these types of games you can mix it in the options however you like. 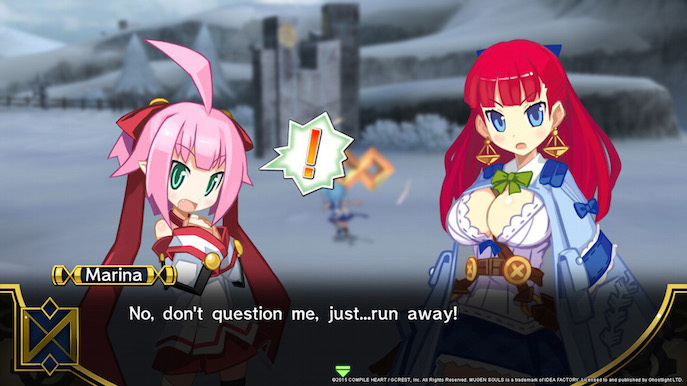 While it does bother me a bit the amount of fan service it has, and all the unnecessary inappropriate shots some characters get, it’s a good and funny action RPG. The characters in the game have different personalities from what you would expect, and the dialogues are interesting to a certain degree. I got to admit this RPG for this price is quite worth checking out, unless you’re not into the whole anime style in gaming. - Too much fan service?